The biggest political upset since the end of June Brexit referendum shook markets this week as outsider Republican Donald Trump defied all odds and polls to pull off a surprise election victory in the U.S. Presidential race. Despite economists predictions that his unlikely win would lead to stock market catastrophe, U.S. stock markets rocketed higher in the days following his triumph. While all eyes were focused on the U.S. election results shock, the Indian Prime Minister Modi pulled bills amounting to 80% of Indian currency from circulation in a dramatic move. Moody's Credit Rating turned negative on global and U.S. sovereign credit ratings for the future. 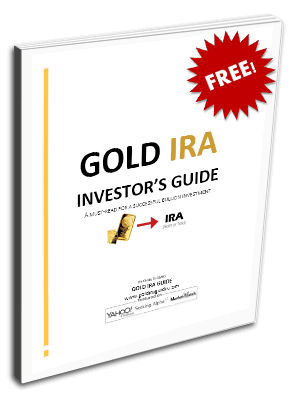 All of these momentous events served to remind you that there is never a good time to part from your retirement gold holdings. Despite all predictions and against all odds, Republican candidate Donald Trump defeated his arch rival Democrat Hillary Clinton this past week. Stock markets gyrated wildly for less than 12 hours before deciding that his victory did not represent the end of the world financial scenario that many economists had glumly predicted. By the stock market close Thursday, the Dow Jones had posted yet another phenomenal day by reaching an all time intraday high at 18,873.66 and closing at a new record high mark of 18,807.88. The index is now in striking range of the 19,000 level for the first time ever. While the Dow made impressive new records, the S&P and Nasdaq were still off their record highest levels. These two indices have trailed behind the Dow gains over the last three months. The S&P was still 1.21 percent from its previous intraday high mark while the Nasdaq remained 2.57 percent below its own as of Thursday's close. All the while the eyes of the world were transfixed on the U.S. election and outcome, India was quietly making massive changes to its currency circulation system. Last Tuesday, the Prime Minister Narendra Modi decided he would withdraw all 1,000 and 500 rupee notes from India's circulation. By doing so, he was pulling 80 percent of all currency circulating in the Indian economy. His ostensible reason was to crack down on the nation's huge black market economy which does not pay taxes. This all cash market is estimated to be as much as 30 percent of the entire Indian gross domestic product. Many Indian people utilize the market not only to sidestep taxes, but to pay bribes to officials and for business deals. The sudden announcement only allowed individuals to change 4,000 rupees per day, around $60. The people had only two weeks to accomplish this before the bills are effectively dead. Larger holdings of cash would have to be revealed to the taxing authorities in order to be converted. Officials have gleefully announced that money not changed in will simply be “extinguished.” Meanwhile the real world effects of the policy have left chaos at hours long bank lines that resemble bank runs more than an orderly currency exchange. Literally thousands of security personnel had to be placed at banks to put down brawls between desperate citizens outside the buildings. Financial analysts have acclaimed this policy move as fearless and possibly a game changer for India. Other leaders of the country have pulled currency notes before, but none have made a move that so dramatically lowered the national cash supply without warning. It may have unintended consequences besides reducing corruption and reining in tax avoiders as the cash money base is now dramatically smaller. As usual, those who see opportunity in the misfortune of others were making windfalls helping individuals get rid of their now-black currency. Gold showed how valuable and important it is in times of crisis like this as gold sellers were realizing double the price for 10 ounces of gold since before the announcement on the currency withdrawal. Today, Moody's announced that the global sovereign ratings outlook is now negative and will remain so until as long as 2018. They have come to this conclusion because they anticipate high and rising public debt coupled with lower economic growth. Fully 35 out of 134 sovereign entities now have a negative outlook. This represents a scary 26 percent of all sovereigns. It is the biggest percentage of negative outlooks for governments since the European debt crisis in 2012. Shockingly a mere 12 sovereign entities retain a positive outlook. Moody's took aim at the U.S. Aaa credit rating in the brief. Their worries about how the results of the American election could affect the fiscal strength and the country's credit throughout the medium term were troubling. Trillions of dollars in U.S. government debt holdings depend on the perception that there is no credit or default risk in them. The EU was also in the crosshairs of the report, as Moody's mentioned their concerns about additional break up of the world's largest trading block because of the British decision to withdraw. Already the EU budget looks like it will be in trouble without the second largest annual contribution that came from the U.K. Gold is the ultimate beneficiary of this decline in credit outlook for many of the leading nations of the world.